What are the Chibeasties and what do they want? These small forest dwellers are mythical creatures, or maybe even aliens, that live in a magical forest. 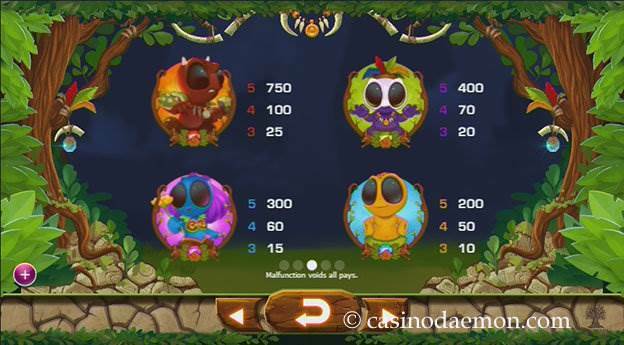 You can visit them in the Chibeasties slot from Yggdrasil and get the chance to win some money while enjoying their presence. 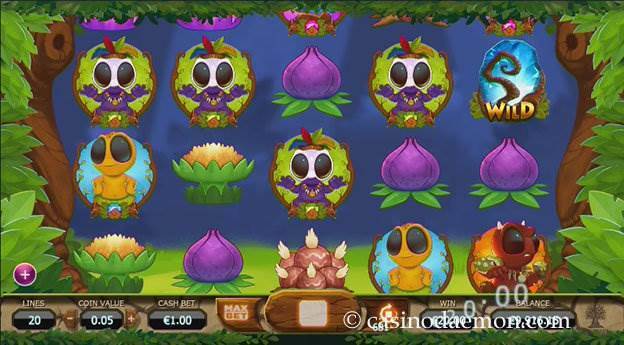 The symbols of the game show little monsters, as well as many different flowers and pods, and the music is also a little out of this world. The game offers free spins and wild substitutions as special features. The variance of the slot is medium, and you will probably win money regularly, but more often smaller amounts rather than larger. This is a game that you can play for a while and get your money's worth, as well as a chance to win some decent amounts as well. The theoretical return to players 96.2%, which is average for an online slot. You can also play Chibeasties mobile and try your luck on the go on your mobile phone or tablet computer. You can play Chibeasties for free here in the demo version and take a look at these funny creatures yourself. If you like the game and want to play it for real money you can find it in one of the online casinos listed on this page. 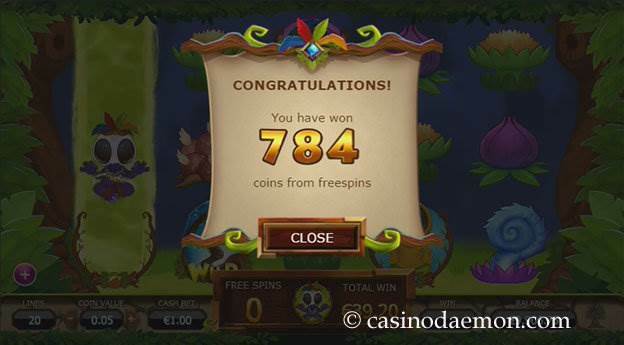 There are not that many special features in the game available, but it does have a wild symbol that stands in for other symbols to create the best paying combinations on a pay-line, but it doesn't stand in for the free spins symbol. 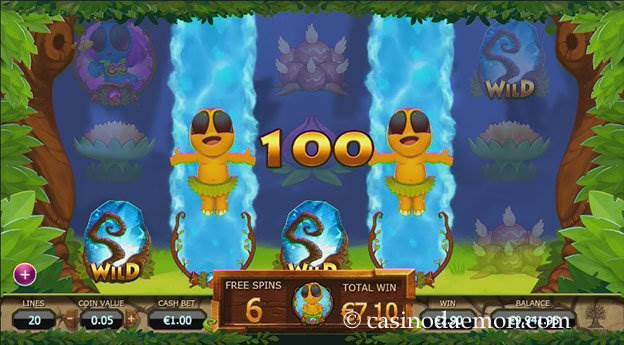 The free spins are triggered with the free spins symbol and you can get 10, 20 or 40 free spins for 3, 4 or 5 free spin symbols respectively. Once you start the free spins a random symbol is chosen as the expanding symbol and whenever it shows on the screen it will expand onto the entire reel. It is even possible that the wild symbol is chosen as the expanding symbol, which would mean fantastic wins! The symbol expands after winnings have been determined, which means that a second payout will occur. The Chibeasties slot has 5 reels with 20 fixed pay-lines. You can play the game with coin values of between £/$/€ 0.01 and £/$/€ 2, which means a minimum bet size of £/$/€ 0.20 that can be raised up to £/$/€ 40 per round. You can also select automatic play options.